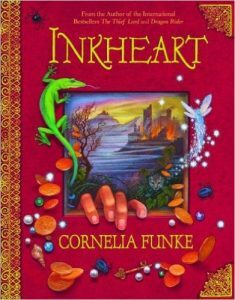 Lily Bunger, an eighth grader from Texas, recommends the Inkheart trilogy, by Cornelia Funke. It is an amazing book about books. It hits home with any book nerd who reads it. I *gasp* love it more than Harry Potter. I cried the third time I read it even though I knew how it ended. It is about 1,600 pages total and it never gets old.